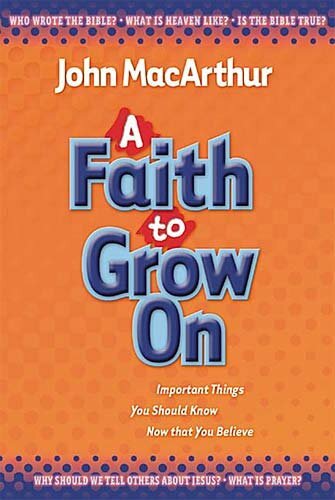 Updated with an edgy, new design, this inspiring devotional from John MacArthur will help children through their growth spurts of faith. After children have come to accept Christ, a whole new series of questions can flood their hearts and minds. What should I do when I don't understand God? Is there a special way to pray? What if I tell someone about Jesus and nothing happens? As he did in I Believe in Jesus, MacArthur takes these and many more complex questions and presents them in a simple style that young minds can easily understand. He reinforces that understanding with Prayer Starters and daily prompts that help kids to apply their newfound wisdom to their lives each day. A helpful guide for young believers, A Faith to Grow On presents foundational doctrines of the Christian faith in short devotional readings for daily growth.